DEAKIN University’s Lauren Dickson will be the first to shed light on the fishing industry’s impact on Warrnambool’s Lady Bay — and she is asking local fishermen to help her. Ms Dickson said she hoped to inform fisheries management about recreational fishing in the bay by detailing the fishing habits of Warrnambool’s fishermen. The honours student said there was little existing research into the health of fisheries off Victoria’s south-west coast, which was of community concern. “My research is definitely relevant to the local community because we need to ensure the long-term sustainability of our fisheries,” Ms Dickson said. She also hoped her research would highlight the best way to estimate how many fish are caught recreationally. To collect data for her research, she will begin handing out questionnaires to fishermen returning from their fishing trips at Warrnambool breakwater tomorrow and Monday. “We will develop a rough profile of boat fishing out of the bay, what they do with their fish, catch size and look at the impact of recreational fishing on Lady Bay,” she said. Ms Dickson will be situated near the boat ramp with a booth and a Deakin flag. She hopes to interview up to 250 fishermen and will also hand out surveys during late March and April. 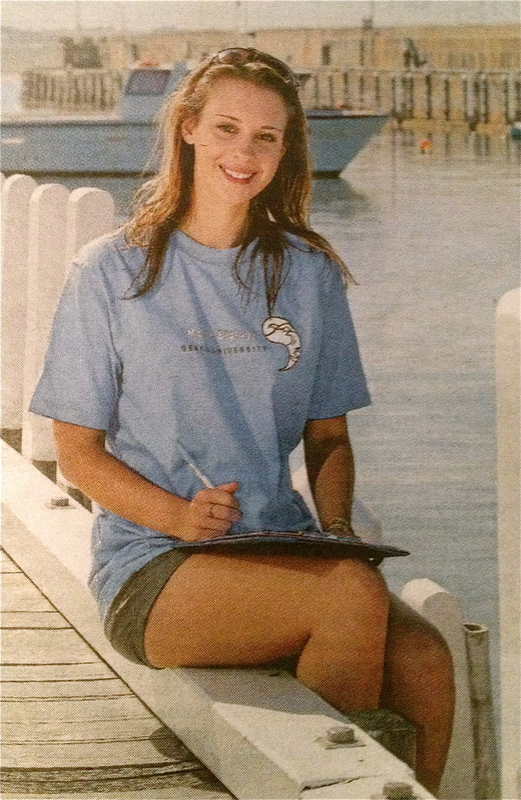 Ms Dickson, who completed her degree in environmental science last year, wants to pursue a career in fisheries management. She said growing up in Rosebud, where she spent a lot of time at the beach, sparked her passion and interest in the ocean. “It would be fantastic if people could just spare a few minutes to fill out a questionnaire because the research is for the community’s benefit,” she said. The report’s findings will be released on October 25.